"He got me to do more than I thought possible." "She simply would NOT let us fail – we worked miracles for her." How is it that some leaders can demand the most of you in such a way that you love them for it? When Dale Dauten and J.T. 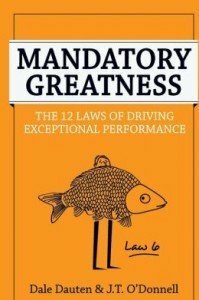 O’Donnell studied such leaders they came up with this surprising concept: MANDATORY GREATNESS. Said another way, creating a team that exceeds expectations is no accident. Dauten and O’Donnell have turned their interviews with hundreds of exceptional leaders into a fast and entertaining read. Their new book unfolds as a conversation between a young everyman manager and a wise veteran consultant, a woman who’s been described as having “skirts of steel.” He wins a coaching day with her in a charity raffle – much to his disappointment. Reluctantly, he agrees to let her observe him as he works, and eventually she drags him to the revelation that, despite high ambitions, he is a typical manager with average prospects. He is, as she sums it up, “inadvertently mediocre.” Then, as she analyzes his work and philosophy, he learns new principles and techniques summed up in “The 12 Laws.” Here is a book that will change forever how you view teamwork, management and the art of producing results. 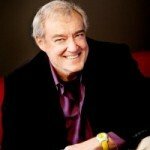 As founder of The Innovator's Lab®, an organization devoted to developing and testing new ideas in management and marketing, Dale Dauten has done idea generation with dozens of organizations, including Honeywell, General Dynamics, Caterpiller, and NASA. His consulting work includes educational programs for Certified Innovators and Certified Innovation Mentors, and his work on creating a culture of innovation yielded a patent-pending new advance on brainstorming called BrainTouring®. 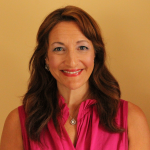 Jeanine Tanner “J.T.” O’Donnell is a career strategist and workplace consultant who help American workers of all ages find greater professional satisfaction. Unlike other advisors, O’Donnell works with both individual clients and corporations, giving her access to emerging workforce trends. She has 18+ years of experience, managing, training, and coaching people of all ages on a wide variety of career topics.